Gîtes de France Corsica Corsica ... Like I prefer ! from 1 pers. 2 pers. 3 pers. 4 pers. 5 pers. 6 pers. 7 pers. 8 pers. 9 pers. 10 pers. 11 pers. 12 pers. 13 pers. 14 pers. 15 pers. to 1 pers. 2 pers. 3 pers. 4 pers. 5 pers. 6 pers. 7 pers. 8 pers. 9 pers. 10 pers. 11 pers. 12 pers. 13 pers. 14 pers. 15 pers. 15 and . Enjoy an adventurous underwater holiday with Gites Corsica! 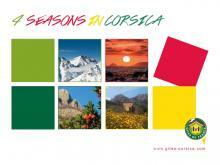 Corsica, a truly multifaceted destination, has not finished surprising you! Certainly, the stunning scenery is enough to take your breath away, but if you keep a little in reserve, you can experience underwater adventure by going diving in Corsica. Head out from one of our beachside Corsica villas, take the plunge into crystal clear waters, and gaze in wonder at the wealth of animal and plant species, shimmering with colour. After your underwater explorations, enjoy a well-earned rest on a beautiful beach of fine sand or pebbles, before returning to your comfortable accommodation. Why not start browsing our selected, quality-assured Corsica villas right away? Need informations ? help to book ?